The 2013-14 NBA season will definitely be an interesting one. It's the 1st season since the 1996-97 season that Paul Pierce is not playing for them, leaving Rajon Rondo as the only player left from the 2008 Championship squad. Apart from Pierce, Kevin Garnett and Jason Terry are not on the team anymore, as they were traded to the Brooklyn Nets (along with Pierce) for a package of players and picks, consisting of Marshon Brooks, Keith Bogans and Kris Humphries. Coming into the 2013-14 NBA season, Jeff Green is set to be the Celtics primary scorer as he showed he could excel in, in the end of the season/playoffs where Green became a starter. In the 17 games he started during the regular season, Green averaged 20 PPG with a shooting line of 52/52/76. That's right, a ridiculous 52% from deep; it's not like he barely took any threes, he took 3 three-pointers per game, going 27-52 in those 17 games. In 6 playoff games, Jeff averaged 20 PPG with a shooting line of 44/46/84. There is no reason to believe Jeff Green won't average at least 20 PPG, or at least close to it, as Pierce and Garnett aren't there to take away his shots now. We may be looking at a dark horse candidate for the Most Improved Player award. If any of you remember, Kris Humphries was a double-double machine for a good part of 2 seasons for the Nets (2010-2011 and 2011-12), before their offense became mostly isolation plays. In the 2011-12 NBA season (best season of his career), he averaged 13.8 PPG, 11.0 RPG, 1.2 BPG and 0.8 SPG on 48% from the field and 75% from the charity stripe. If given the starting job, I fully expect him to come close to those numbers and be able to turn himself into a valuable trade asset. If you ask me, those numbers are pretty similar so the Celtics are pretty much choosing whose going to give more of the same type of production. I don't know who that will be but they will succeed and in doing so, will prove their worth. Rajon Rondo has proven in the past that he can average close to 15 PPG, averaging 13.7 PPG in the 2009-10 and 2012-13 seasons. 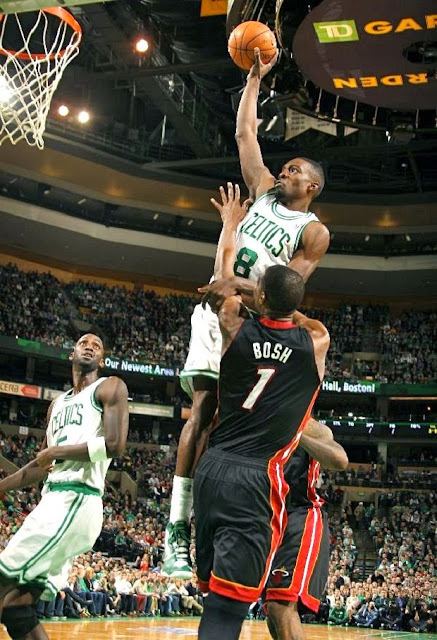 Also, he scored a career high 44 points in Game 2 vs the Heat in the ECF of the 2012 NBA Playoffs, picking apart the Miami's defense with mid-range jumpers. 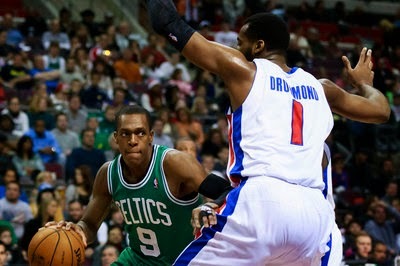 Rondo has shown that when he looks to score, he can score and make it look easy. 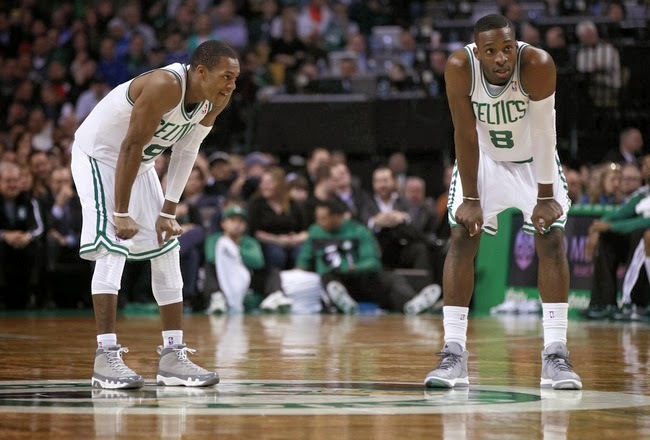 Brad Stevens will get Rajon Rondo to look for his own shot more, rather than to create so expect a career high in PPG for him in the 2013-14 NBA season. As much as I hate to say this, believe me I do (I am a DIEHARD Celtics fan), Rajon Rondo is most likely to be traded in the 2013-14 NBA Season. Why? Not trading Rondo is like, (for you Supernatural fans out there) holding onto Bobby's flask when he's becoming an angry spirit. Pierce and KG being traded away is like Bobby dying so you might as well burn a possession of his that means something, which is Rondo in this case. 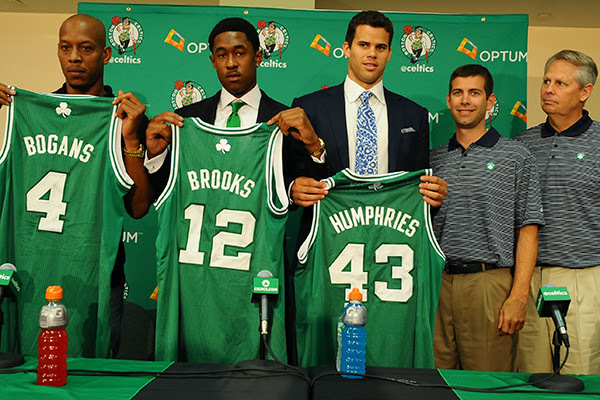 The Celtics would likely be looking for a star PF/C in this trade so Detroit seems like a good trade suitor. Rajon Rondo, Brandon Bass (this is kind of like a 2-in-1 since I also think Bass will get shipped off prior to the Trade Deadline this season) and a pick/another player for Brandon Jennings and Greg Monroe/Andre Drummond? It's possible. After Pierce and Garnett were traded, it was expected the C's would have a drop-off in the win column but this drastic? A lot of people may think the Celtics would at least make it as the 7th or 8th seed but with what I said in the previous prediction, Boston may end up trading Rajon Rondo so that hinders their chances of making the playoffs. With Pierce and KG on the Celtics, they were a great defensive, good offensive team but now they are a good defensive team and an okay offensive team. 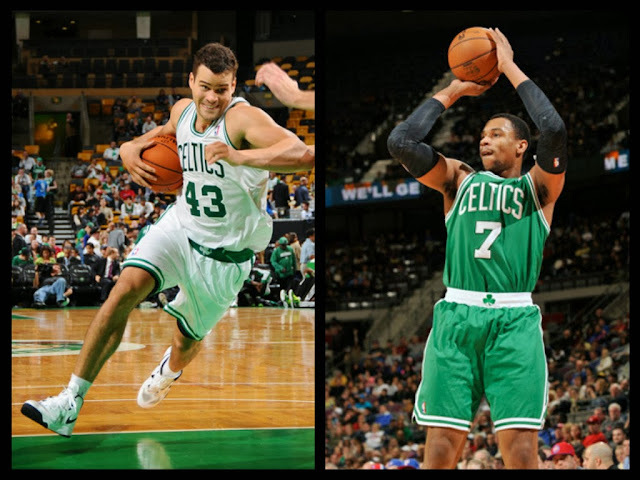 Look for the Celtics to finish with the 9th-12th seed in the Eastern Conference. Another 2-in-1 (I apologize, I am cheating a bit), since I don't believe Boston will be a bottom 5 NBA team, I still believe that the balls will roll their way and the Boston Celtics will get a top 5 pick in the stacked 2014 NBA Draft and *fingers crossed*, they'll draft Dante Exum if he elects to enter the NBA Draft in 2014.